CeeLab will be attending the Royston Business Network Summer BBQ. At CeeLab we are supporting businesses in Royston with Cloud Video Conferencing Technology. One of our biggest users of CeeLab Cloud Video Conferencing Technology is Zimmer and Peacock. Cloud Video Conferencing is like any business tool, the more you use it the more you get out. 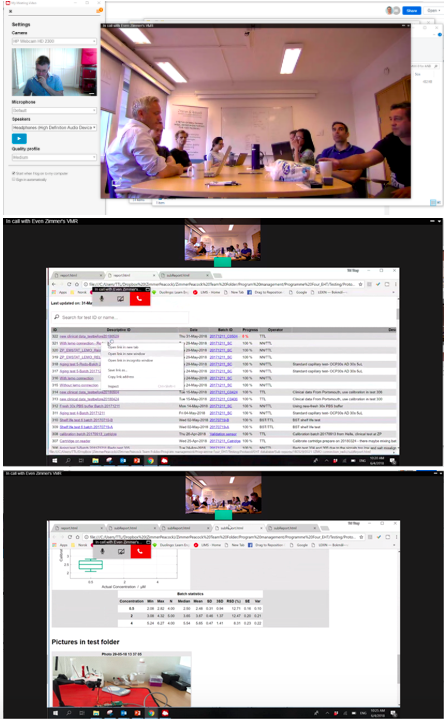 In the series of shots you can see the ZP team engaged in a meeting, where they are able to share content easily and so the meeting isn't talking about data in the abstract, in fact data and information can be shared in real time. For people to comprehend complex subjects, hearing seeing and showing live is the most efficient way; that is why Cloud Video Conferencing wins over other communication types. CeeLab is exhibiting at Herts B2B this week. CeeLab is Hertfordshire's biggest video conferencing solutions provider, from Cloud Video Conferencing to room installations. This week we will be exhibiting at Herts B2B, come and see us there.